Crunchyroll - 54-Year-Old Unemployed Man Arrested for Illegally Uploading "your name." 54-Year-Old Unemployed Man Arrested for Illegally Uploading "your name." Shizuoka Prefectural Police announced yesterday that they had arrested a 54-year-old unemployed man in Fujisawa-city, Kanagawa Prefecture, on suspicion of copyright infringement (infringement of public transmission rights), and sent the case to the Shizuoka District Public Prosecutors Office. 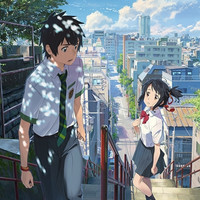 According to the police, the suspect is accused of using the file-sharing software Share to upload Makoto Shinkai's mega hit anime film Kimi no Na wa./your name. and two song files of popular artists onto the internet without the permission of the copyright holders' permission from May to September of this year. The video file of the film included English and Chinese subtitles. Since the film is still running at Japanese theaters and its DVD or Blu-ray have not been released legitimately yet, the police think he got the pirated video file made by someone else by using the software, then again made it downlodable to the general public. September, and has been posting their messages to ask people not to watch the film by illegitimate means. case for illegal uploading of the film in Japan. million yen (about US$98,500) in the worst case. Fukushima Gainax Produces Hula Girl-themed Anime "Flying Babies"